Several countries in the Mideast and Africa have deployed weapons in conflicts after buying from Beijing—at lower cost. Last October, satellite images captured the distinctive outlines of some powerful new weaponry at a Saudi runway used for military strikes in Yemen. 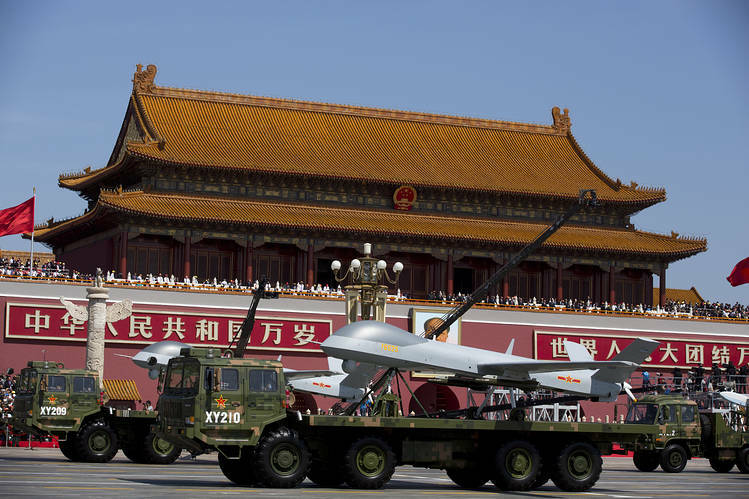 Three Wing Loong drones had appeared, Chinese-made replicas of the U.S. Predator with a similar ability to stay aloft for hours carrying missiles and bombs. These images and others now being scrutinized in international defense circles add to growing evidence that military drones exported by China have recently been deployed in conflicts in the Mideast and Africa by several countries, including U.S. allies that the U.S. blocked from buying American models. The complete article ist available at the Wall Street Journal website.